Although things here at B Natural Creative Studios have been humming along quietly behind the scenes, I have sadly neglected this blog for quite a while. Now is the time to breathe new life into it! 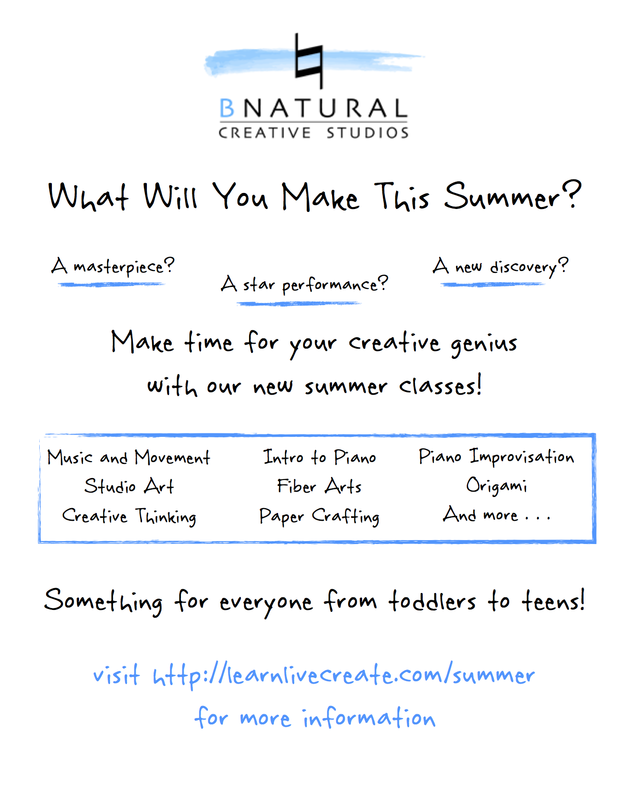 I will begin by announcing an exciting new line-up of creative arts classes available this summer! Join us in our new creative adventure starting in June! What will YOU make? I am excited to announce a brand-new offering here at B Natural Creative Studios! I LOVE what Simply Music is doing for our family! I first became acquainted with Simply Music about two years ago when my oldest son (8 at the time) expressed interest in learning to play the piano. Having taken traditional lessons myself as a child, I first looked through my old piano books to see if I could start teaching him from those. They were laughably outdated, though, so I set out on an Internet quest to research different piano methods. It’s a . . . business! I have an exciting announcement to make! After years of dreaming, months of research and planning, and weeks of trying not to talk myself out of it making final preparations, I am finally ready to go public. Allow me to introduce my new business–B Natural Creative Studios! The B Natural Creative Studios philosophy is that everyone–whether they realize it or not–has the need and the ability to express themselves creatively. My goal is to provide the opportunity for people here in the Treasure Valley to tap into that well of creativity and to experience the satisfaction and joy of discovering and sharing the “inner music”. 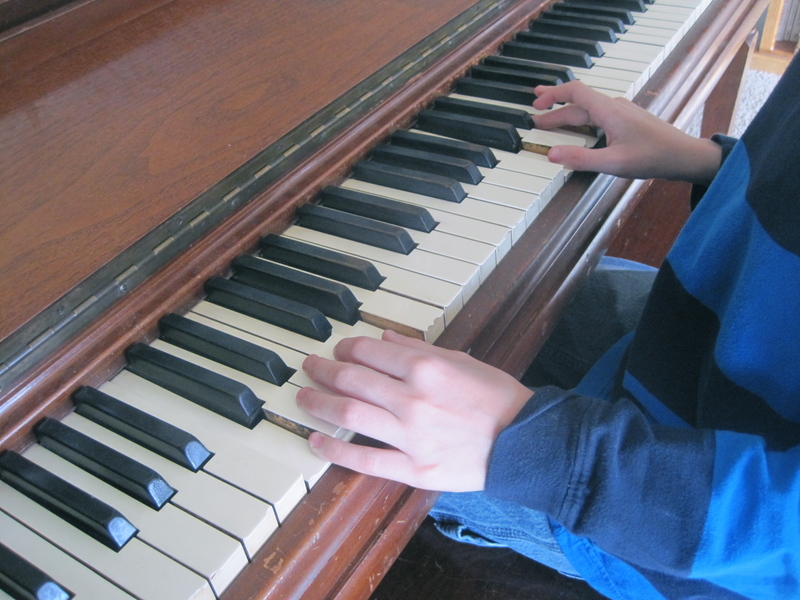 I am thrilled to announce that our first offering at BNCS will be Simply Music piano classes! Simply Music is an Australian-developed breakthrough method of piano instruction that has students of all ages playing great-sounding music–classical, blues, contemporary, and accompaniment–right from the very first lessons. I will be writing more about my personal experience with this program and how it has literally changed my family’s life, so stay tuned. In the meantime, you can read much more about the history, philosophy, and curriculum of Simply Music by visiting www.simplymusic.com. If you are intrigued by this remarkable, natural approach to learning to play the piano and want to find out more, call me at 208-284-3867. I would love to answer your questions and/or schedule a Free Introductory Session to demonstrate how Simply Music works.